Alibaba Group Holding Ltd (NYSE:BABA), despite being the massive electronic commerce player it is today, is still a “baby,” its founder and CEO Jack Ma told Charlie Rose in an interview in Davos for Bloomberg’s The Pulse. The Alibaba Group Holding Ltd (NYSE:BABA) top executive shared his view of his company after Rose asked him for an idea of how huge the company has become. “Compared to 15 years ago, we are big. But compared to 15 years later, we’re still a baby,” Ma said. 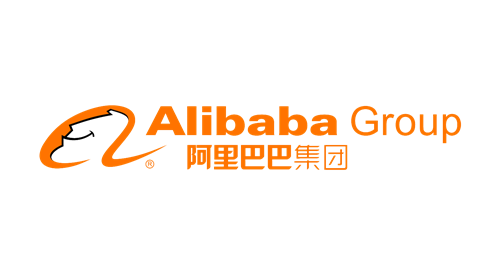 Just how big has Alibaba Group Holding Ltd (NYSE:BABA) become? Ma was straightforward in sharing some statistics about his baby. “We have over 100 million buyers, visiting our site, shopping on our site every day. We created 14 million jobs for China directly and indirectly. We grew from 18 people to 30,000 people. 18 people in my apartment to now we have four big campus[es],” Ma said. Meanwhile, the Chinese entrepreneur also said that he has come back to Switzerland because he wanted to share his knowledge to the young leaders of the world. Back in the early days of Alibaba Group Holding Ltd (NYSE:BABA), he shared that he came to the country in 2001 as part of a delegation for a conference for young leaders of tomorrow. He was also in the country in 2008, he said. During his first trip to the European country, he shared that he encountered protesters who he asked about what they were protesting. These people told him they are anti-globalization, he said, and as a result confused him because he thinks globalization is great. Ma also joked that during his first visit, he saw machine guns and a lot of checkpoints so he was not really sure whether he was going to a conference or going to some sort of prison. Kidding aside, he said that he learned from his experience in Switzerland what globalization corporate citizenship and social responsibility mean. He was also very affected by how many great leaders talked about leadership. In 2008 and 2009 when the financial crisis hit, he said that he thought to himself that he better get to work because the world won’t be saved by talk. Now he is back to share his insights, he said, to the young people who may be watching in Davos and around the world. Dan Loeb’s Third Point owned 7.2 million Alibaba Group Holding Ltd (NYSE:BABA) shares by the end of 3Q2014.